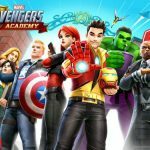 Marvel Avengers Academy continues to be a big hit with mobile gamers on Android and iOS alike, and it’s mainly because of the unique twist TinyCo puts on its particular Marvel title. 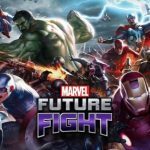 While not the first Marvel-based game out there, it’s arguably one of the most unusual, as it puts you in control of Marvel’s Avengers, only if they were teenagers and not adults. So instead of being a billionaire scientist, executive, and ladies’ man, Tony Stark is like your average college student, save for his superpowers. The same applies to everyone else in this game, but aside from the teenaged versions of the Avengers, there’s more to this game than the novelty of such. In specific, we’re thinking about the buildings at Avengers Academy. What’s in it for you, as far as these buildings go? How can you use and manage them the right way? Read on as we tell you how in this new Marvel Avengers Academy strategy guide. The buildings in Marvel Avengers Academy allow your superheroes to do a variety of different things. When completed, these tasks earn them experience and money, but you can only have so many Avengers in one building at a given time. As you upgrade those buildings, they’ll be able to hold more superheroes simultaneously, which means you really have to focus on upgrading them if you want to do more in less time. It seems easy to upgrade a building in this game, but easy doesn’t mean affordable and quick. Instead, upgrades take a lot of time to complete, and often aren’t very affordable. We talked about how to optimize your quest-taking in this game, and you can use those tips to complete more quests faster, and consequently earn more money faster. And when it comes to the timing of those upgrades, it’s best to schedule them right before bedtime; you cannot use the building while being upgraded, and to reiterate an earlier point, it takes a while for upgrades to be completed. 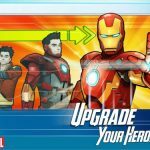 You can also upgrade your heroes in this game, but we suggest that you focus on upgrading buildings before you focus on upgrading heroes. That’s because you get to unlock more tasks for your heroes with each building upgrade, thus simplifying the process of leveling up your superheroes. In some cases, there will be more heroes who want to use a building than available slots inside. That means you should prioritize admitting your heroes by the time it takes for tasks to be completed. Start with the hero with the quickest activity to complete, and move on to the second-quickest activity, and so on. Now if it looks like you’re all out of space in your Avengers Academy and its buildings, you can use the Pym Particles you gathered from quests to unlock new areas inside the buildings. That’s it for now, as far as our latest set of tips and hints for Marvel Avengers Academy is concerned. Do you have additional tips for building usage? Let us know by commenting below. 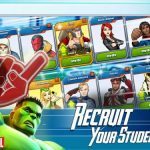 Also, if you want to check out our big collection of tips and tricks for Marvel Avengers Academy, be sure to head over to this page.